Today is the day Coral Harbor Mayor Daniels will be flipping the switch on Morph-X, a new clean power source derived from the Power Rangers Morphin Grid. But there are concerns this could be a dangerous idea. At the local Riptide Gym, a young man, Devon, seems more interested in dancing to his tunes than to follow along with the karate warm-ups, much to the chagrin of Blaze. Blaze confronts him. Devon says he’d like to learn some moves that are a little more challenging. Blaze then kicks at Devon’s head, but Devon is able to duck out of the way. Another black belter, Ravi, tells Blaze to knock it off. But Blaze proceeds to go at Devon. They spar, but Devon is able hold his own until Blaze ends up punching the steel post. Another black belter, Roxy, tries to get them to stop. But Blaze and Devon keep going, each armed with a bo until Devon gains control of both. Just then, Devon’s father arrives and sternly tells him it’s time to leave. Roxy recognizes the father as the mayor! 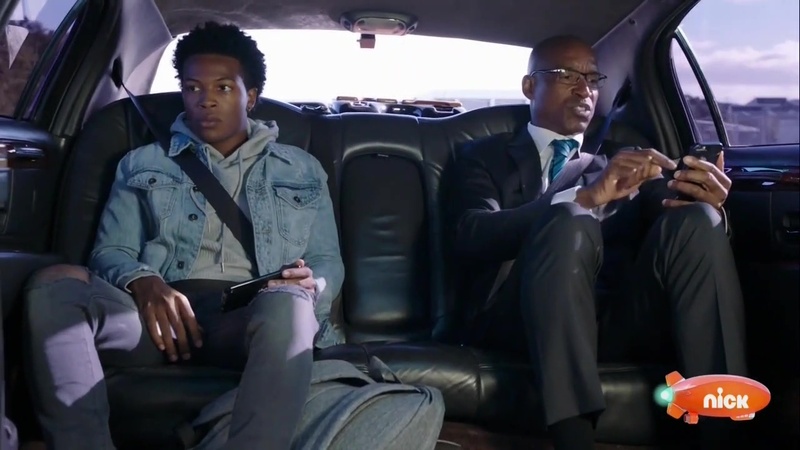 In the limo, Mayor Daniels is upset with Devon for not going to the job interview he had pulled some strings to get him. Devon is good at video games and karate, but Mayor Daniels says neither is going to get him anywhere. He just wants Devon to be prepared for when opportunity comes knocking. Mayor Daniels asks his driver to drop him off at Grid Battleforce, the organization responsible for Morph-X. Devon wants to go so he can try out the battle simulator, but his father doesn’t want him to go anywhere near that dangerous place. Mayor Daniels gets out of the car, but not before Devon is able to take a photo of his GB visitor pass. While Mayor Daniels is held up at the security desk by siblings Ben and Betty, Devon sneaks through, using the photo of the ID on his phone. But Zoey, who works for the laundry department at Grid Battleforce, recognizes the Mayor, much to the surprise of Ben and Betty who let him through. Zoey tells the mayor to follow her through the halls as she tells him about her ideas for Morph-X. She trained to be a Battleforce cadet, but she got cut. Regardless, she still has no problem facing big problems head on. Mayor Daniels is amused by Zoey’s tenaciousness and says she’ll go far. 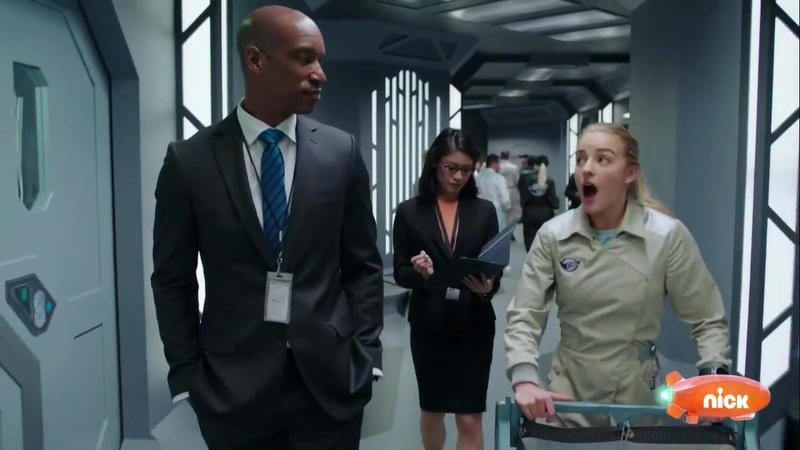 They are met by Commander Shaw who tells Zoey to get back to work. 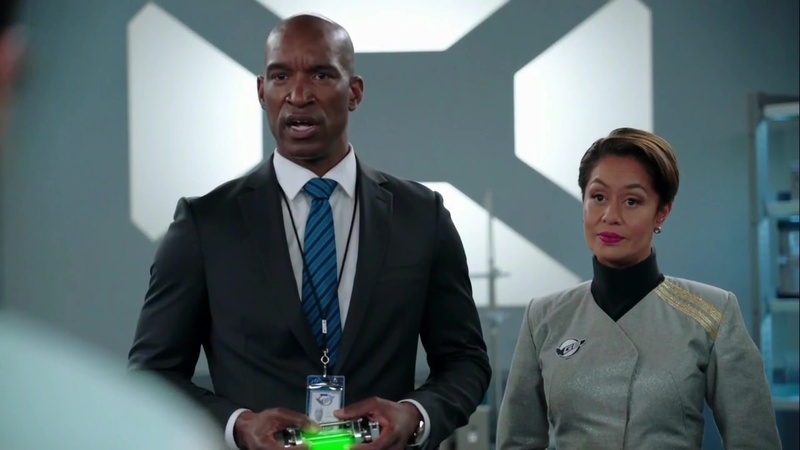 Commander Shaw brings Mayor Daniels to the lab where child prodigy Nate explains how this all works. He had been the one who tapped into the Power Rangers Morphin Grid which led to the development of Morph-X. But Mayor Daniels believes this is a mistake. He explains how big bads from every dimension like Rita Repulsa to Sledge and Galvanax all wanted the Rangers’ power to rule the universe. And now, that power has been centralized right here, easy for another villain to come and take it. And they won’t be able to defend against that threat. Commander Shaw has something to show the mayor. 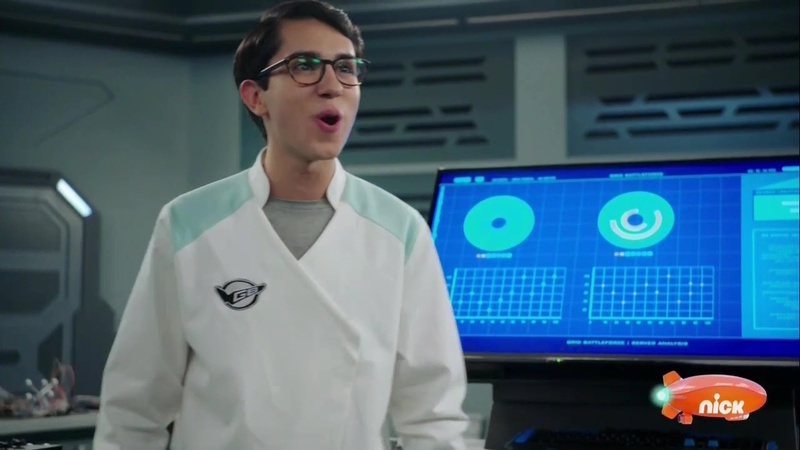 Devon puts on a GB lab coat and pushes a cart which ends up needing to be in the Morphin’ Lab. Right where Commander Shaw has brought the mayor. Devon hides as Nate begins to explain how this central computer controls the entire Morph-X system. 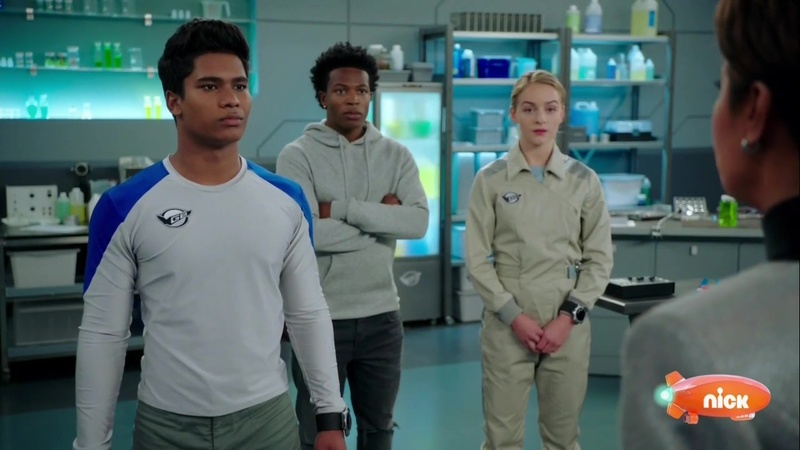 And specifically, when the mayor flips the switch, a contraption will activate that will rearrange the DNA of the top three teenage cadets and combine it with animal DNA to create Power Rangers! These Power Rangers will protect Morph-X and will have sabers, blasters, morphers and keys to help them. While Nate continues explaining transporters, Devon notices a strange purple virus-looking thing flowing into the Morph-X tubes. The mayor wants to meet the three teens, but Commander Shaw says their identities must be kept a secret. The mayor wishes them luck as he and his assistant head out for the ceremony. 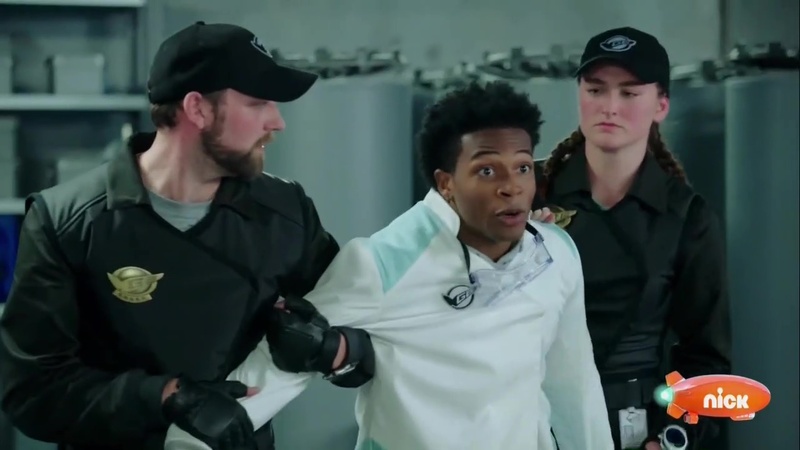 Devon is surprised when he sees the identity of the three cadets: Ravi, Roxy and Blaze! Suddenly, an image of a snake pops out in the Morph-X tube, startling Devon and knocking him back. Commander Shaw orders the guards to throw him in a cell. But Devon tries to warn them about the virus. Nate checks the computer and says everything looks fine. Commander Shaw orders Nate to run a full check of the system anyway. And fast. In the locker room, Ravi and Roxy get dressed for their DNA resequencing. Ravi says he’s a little nervous, but Roxy says she’s fine knowing that he has her back. She tries getting close to him, but Ravi pushes her away and reminds her how Rangers can’t date each other. Ravi thinks the rule is silly, but a rule is a rule. He asks her not to make things harder than they already are. Commander Shaw heads to the command center as Nate updates her from the lab. Everything’s a Go and he’s checked and found no virus. Blaze, Ravi and Roxy get ready on the platform. Mayor Daniels flips the switch and Morph-X is online. Nate begins the DNA reconstruction. But suddenly an alarm sounds. The virus that Devon saw earlier makes his presence known. 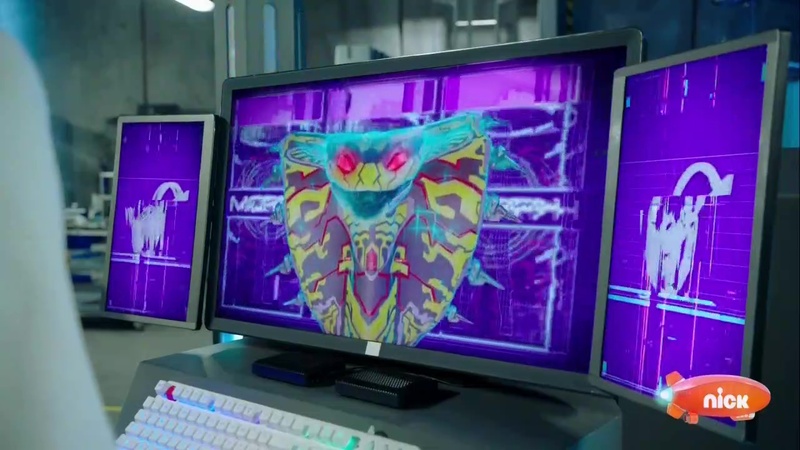 The snake-like figure introduces itself as Evox and proceeds to infect the Morph-X that’s already being funneled into the three would-be Rangers. Commander Shaw orders Nate to abort mission and orders the entire Grid Battleforce complex to evacuate. Devon is able to leave the holding cell. Zoey refuses to evacuate and decides to go help solve the problem. Ben and Betty also want to solve problems, but they fall into a cart instead. Nate cannot stop the DNA resequencing. And it’s too late. 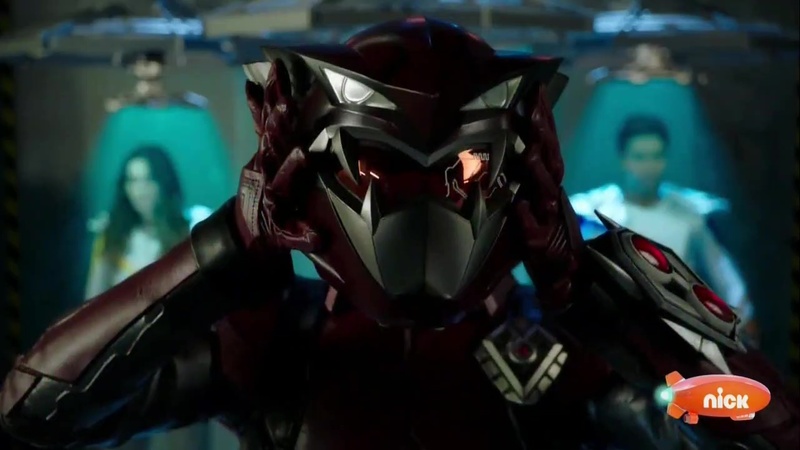 Blaze loses consciousness as an avatar of him turns into an evil Ranger. 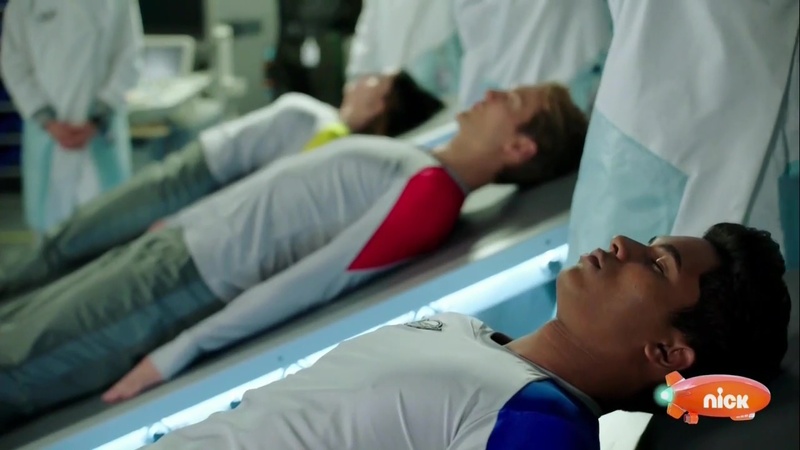 Devon and Zoey are able to flip into the morphin lab just as Roxy also loses consciousness and becomes an evil avatar. Before the same fate can happen to Ravi, Devon shoots the tube feeding his position the Morph-X, releasing him. Devon and Zoey begin fighting the Blaze and Roxy avatars. Ravi checks on Roxy before also joining the battle. Roxy manages to tie Devon, Ravi and Zoey in her tubes. But Nate shoots at a metal grate which falls and slices the tubes. 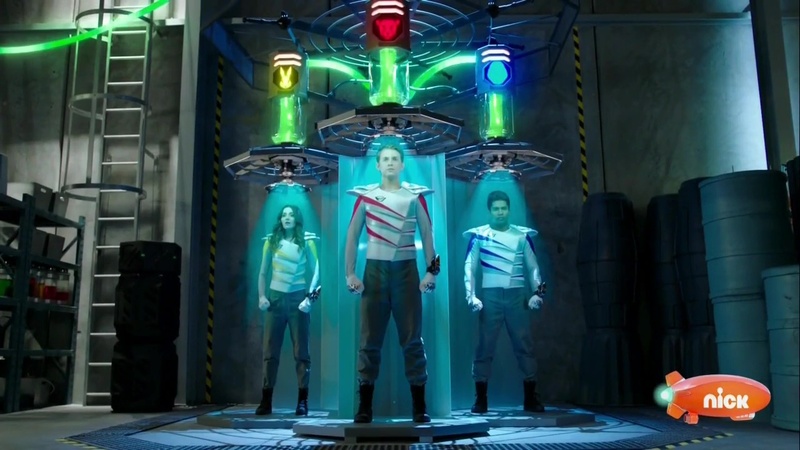 He then switches the DNA resequencer back on and Devon, Ravi and Zoey become Power Rangers. The new Rangers are now much more powerful facing avatarBlaze and avatarRoxy. They use their cheetah, gorilla and rabbit-infused powers as well. Ravi asks Nate if he can send the avatars away using the transporters. Nate says yes and they do just that. Later, Zoey and Blaze are placed in Ganma pods while they are basically in comas, though otherwise fine. Ravi apologizes to Roxy for driving her away. He then thanks Devon and Zoey for saving him from becoming an avatar too. Commander Shaw comes in and asks Nate for the update. He explains that the virus duplicated Blaze and Roxy, putting the originals in a deep sleep and creating evil twin avatars in their place. Until the evil avatars are defeated, Blaze and Roxy will remain asleep. Nate says he’s sent the avatars to a different dimension, but since they are intelligent, they will find a way back. Commander Shaw is confident in the three Rangers. Ravi tells his mom… err, Commander Show that she can count on them. Devon and Zoey accept this responsibility and Commander Shaw tells Ravi to teach them what they need to know. They must be prepared. A new era for Power Rangers has begun. And I must say, it was a very exciting start! Right off the bat, I’d like to say that this episode is an example of what has been lacking on Power Rangers during the Saban Brands Era. For anyone who has watched Go-Busters, you can definitely recognize many elements of the original here. From the design of the Morph-X/Enetron tower to the layout of the command center to the similarities between characters like Commander Shaw and Kuroki. Little things like that which are inspired by or reference the source material, but presented in a way that is different and fresh. Respecting the source material, while putting in the effort to make the story their own. Basically the keyword is “adapt.” More often than not, the Saban Brands Era seasons failed to truly adapt the source material into Power Rangers. Sometimes directly lifting plot points and character traits from the original Sentai without actually “adapting” those elements to Power Rangers and their respective seasons. That often resulted in disjointed storytelling, out of character moments and a mismatch between story and footage. 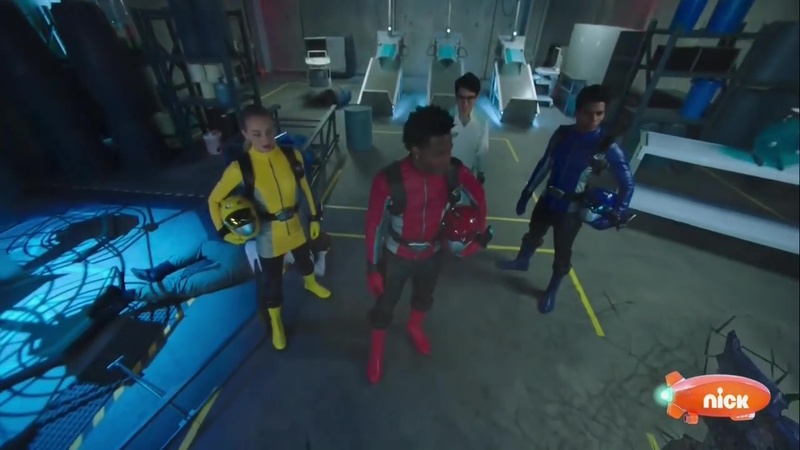 Each of the Saban Brands seasons had their own share of unique problems and shortcomings as well. 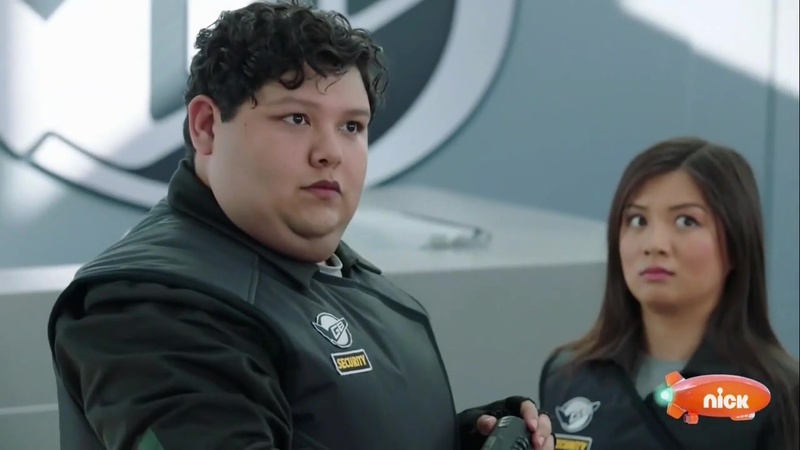 But this first episode shows that there’s a possibility Beast Morphers will be different. At the very least, a little more refreshing. Of course, this is only the first episode. And I’ve already learned to temper my expectations when it comes to anything Power Rangers. But this premiere showed a lot of promise and potential. Maybe more than we’ve seen the last couple of years. But even the supporting characters who we will see during the season like Nate, Commander Shaw, Mayor Daniels and even Ben and Betty were all unique personalities who you could see have a purpose for existing. I like the family connections a lot. Having Mayor Daniels & Devon and even more so Commander Shaw & Ravi be parent and child offers a great dynamic that I hope is used very well during the season. (Unlike the misused parent-child plots in recent seasons.) The Ravi-Roxy romantic angle could provide some nice motivation for Ravi as well. It’s also a creative decision to have Blaze and especially Roxy be the faces of the two villains. Though it’s interesting that the Roxy avatar was in-suit the whole time while we saw Blaze’s face before he put on his helmet. Having Ravi fighting someone who looks like Roxy all the time would make for some nice drama as well. Overall, I very much enjoyed this premiere. Again, I don’t want to get my hopes up too much. But, there’s a lot of potential if they can sustain this refreshing and creative treatment throughout the season. I’ve got to admit, I was afraid a little, that it can be boring. But after watching preview and later the whole episode, I really liked this episode! Although I watched parts of “Go-Busters”, it wasn’t so bad. When Devon and Blaze spared, it reminded me about Casey and Jarrod in “Jungle Fury” (I like this season!) and relationship between Devon and his Mayor dad reminded me about Scott and his dad in “RPM” (although this season I didn’t like so much LOL). Now we can wait for the next episode. Oh! Very interesting. That’s true about Casey and Jarrod. Very similar. This was a amazing premiere. I never got tired looking at those amazing Morph-X Towers, they look so cool. Heck, I even like Ben and Betty. 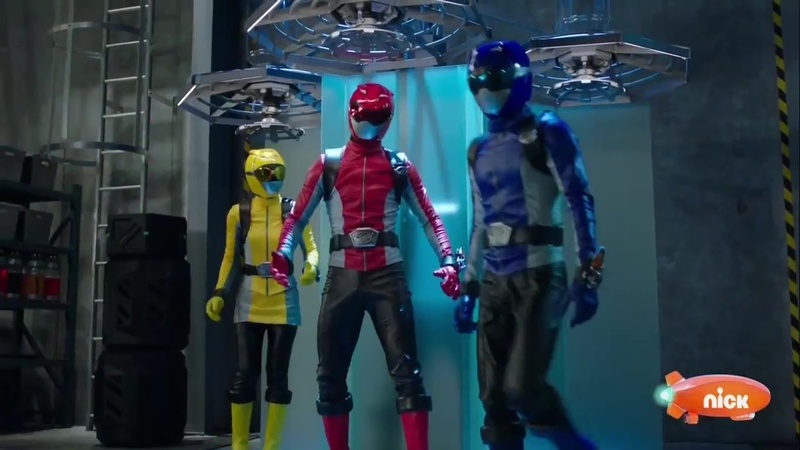 From what I saw in this episode, and due to the fact they also work in Grid Battleforce, they will have more contact with the Rangers. A very strong beginning for new era of franchise. 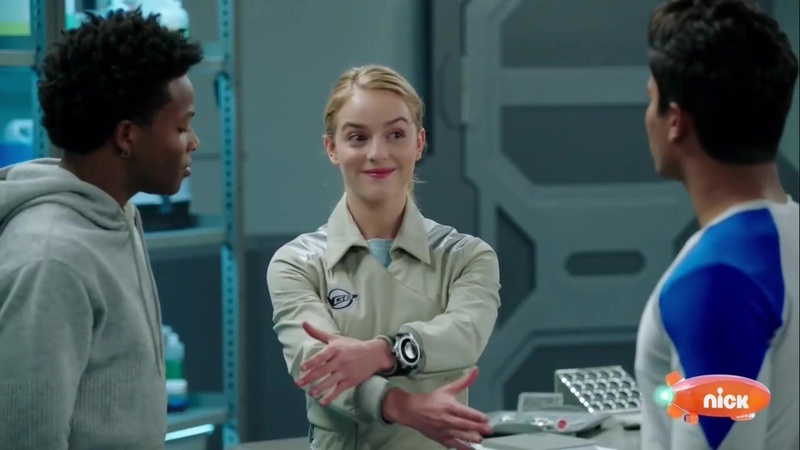 While I don’t hate Saban Brands Era per-se, it did felt stale, generic, redundant, with exception of Dino Charge, so it was very refreshing to see something new and challenging. The only minor issue I had is that episode did felt bit rushed and would have benefited if it was 2-part, but only minor nitpick and it was still strong on its own. 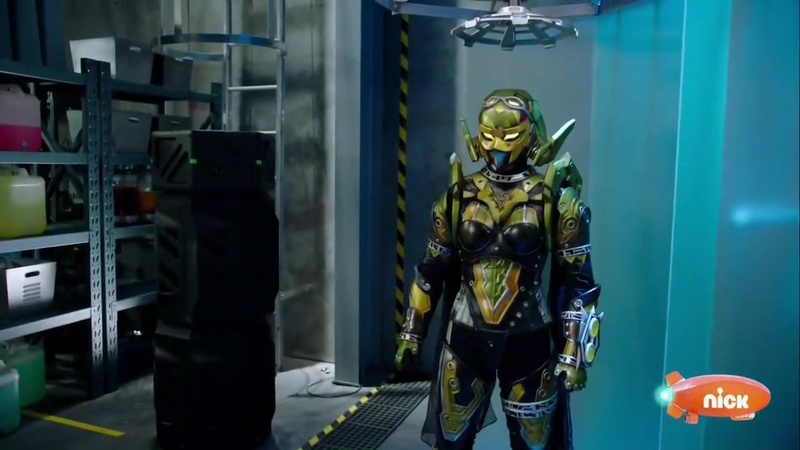 Though, it’s not as strong as Dino Charge premiere, it is a promising start. It kind of remind me of initial reaction to Kamen Rider Kuuga, which was also beginning of new era for Heisei Kamen Rider. Looking forward to see episode 2!